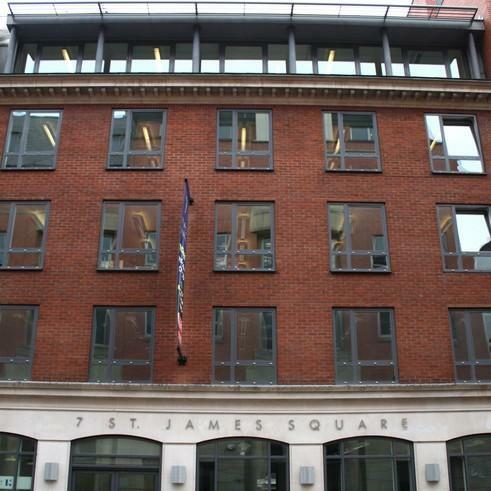 This project, located within the St. James’ Square Conservation Area of Manchester, consisted of the full refurbishment, externally and internally of a 5 storey office building city centre. The modernisation of each floor, extending to approximately 3000 sq ft, included a new core and an upgrade to lifts and toilet facilities. Additional lettable office accommodation was provided on the all new fourth floor, via a light weight construction. This area replaced the old roof and featured an overhanging zinc 'fin’ and brise soleil, supported off a new projecting colonnade.